PT INKA for the second time this year again managed to win the tender procurement of train carriages in Bangladesh. In a tender held on 11 June 2017, PT INKA beat rivals, Rites Limited from India and CRRC Changcun from China in the procurement of 200 units of MG (Meter Gauge) train carriages. 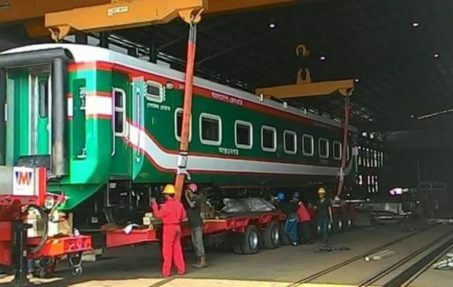 The signing of the contract for the 200 units train carriage will be held in July/August 2017, after the Bangladesh Railway issued a Notice of Award which is an official announcement from the Government of Bangladesh for the appointment of PT INKA as the winner of the tender. Earlier on 24 April 2017, PT INKA has won the tender in the procurement of 50 units of BG (Broad Gauge) train carriages by beating Rites Limited from India. The signing of the 50 unit carriages will be held after Idul Fitri. The success of PT INKA in supplying train carriages to Bangladesh is the fourth after previously in 2015, it has succeeded in winning the procurement contract for 100 units of MG train carriages and 50 units of BG train carriages. The project has been successfully implemented by PT INKA by sending the 150 carriages to Bangladesh in 2016. PT INKA involvement in Bangladesh Railway started in 2006, when it succeeded in the procurement of 50 units of BG type train carriages. Embassy of the Republic of Indonesia. Accredited Countries: Bangladesh & Nepal. Road No. 53, Plot No. 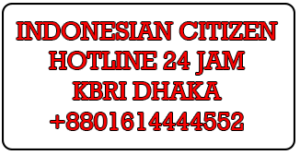 14, Gulshan-2 Dhaka-1212, Bangladesh.